Christmas is now over and the busyness of the season is coming to an end! I love Christmas but it is sure nice to just get to take a breath and relax for a few days when it is all done! Makenzie is doing well! She has had a sore leg for about a week now and today it seems to be feeling much better! She stood up and took a few steps with her walker and enjoyed walking around the house (with mommies help of course) for the first time since it started bothering her. It was great! She was also a TON looser! When one part of Makenzie is hurting you can see it in her whole body! I am so glad she is feeling better!!!!! Now for the really cool news!!! We have made plans to go to California to do intensive model suit therapy in June or July!!! I am still waiting for the center to call me back on the exact date but it is going to happen!!! God is so good! The doors just keep flying open and it is such a huge blessing for Makenzie to be able to have the chance to go and do this!!!! While we are there we will also be doing auditory therapy. There are several different kind of auditory therapies out there. They however can only be repeated every 6 months in order for the brain to process the new information. That being said we are going to begin Makenzies 3rd round of Sensory Learning (SIRRI) tomorrow so that she will be ready for the auditory learning in CA in July! Needless to say it has been a crazy day of planning! Other then that every thing is great here!!! We had a wonderful Christmas with all of our friends and family and are now gearing up to go back to school and therapy. 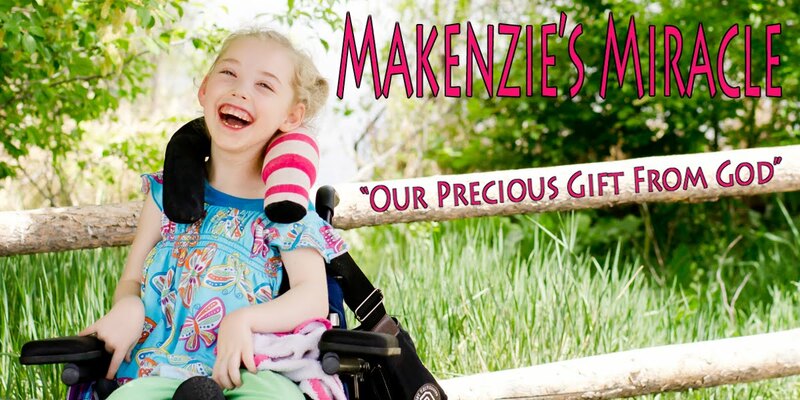 Keep praying for Makenzie and all of her upcoming intensive therapies! God is so good and with out Him none of this would be possible!!! Thank You Jesus!!!! !